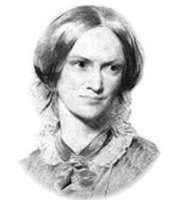 BookMoot: The Real "Thornfield Hall"
Charlotte Brontë visited Norton Conyers a manor house in North Yorkshire in 1839. She learned the story of a "mad women" who was kept in the attic there some 60 years earlier and the idea for "Mrs. Rochester" was born. According to an article in The Guardian by Martin Wainwright the similarities between Thornfield Hall and Norton Conyers are unmistakable. ...until this month, only Thornfield had a hidden flight of stairs from near Mr Rochester's grand bedroom to his wife's miserable prison. "We decided to investigate the tradition" said Sir James Graham, 64, whose family bought Norton Conyers in 1624. He was brought up in the house, and remembered tales of the imprisoned ancestor, secret passages and sections of wooden panelling which rang hollow when knocked. One of these was on the landing outside the Peacock Room, the supposed model for Mr Rochester's quarters, and it was here that the musty flight of steps uncovered in the attic proved to lead. Sir James and his wife, a former museum curator, crept down and found a chink of light and a disused door with an ingenious spring lock. "The stairs are only just wide enough for one person" said Sir James. "They are hidden within the thickness of the panelled wall. There is no way you could tell from outside that there was anything there. ...rotten treads and subsidence cracks must be repaired and restoration carried out in the attics, particularly the "madwoman's room". "It is such a sad room," said Lady Graham. "It has such a tragic feel about it. It is in a cul-de-sac in the attic, very awkward to reach. It is north-facing with a small gable window. It's infinitely depressing. Most people don't want to stay there. It's creepy. However rational, they feel a weight on them." Fascinating article, read the whole thing. I would be very interested to know whether anybody actually occupies Thornfield Hall. I love the film of Jane Eyre.